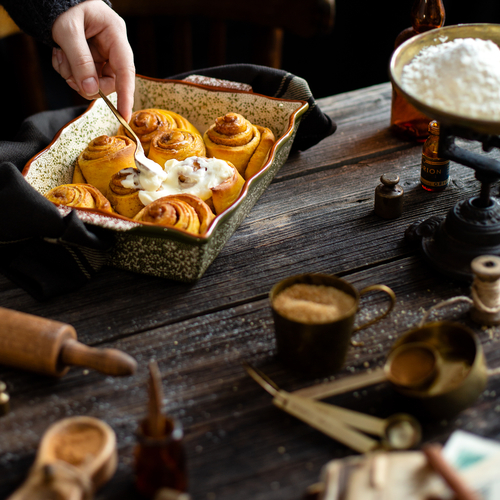 Making pumpkin cinnamon rolls using a bread machine is quite possibly the best way to make these! Remember you can use a bread machine for all types of breads from banana to fruit loaf! They really are a great investment for a lady who loves to cook delicious moist bread. 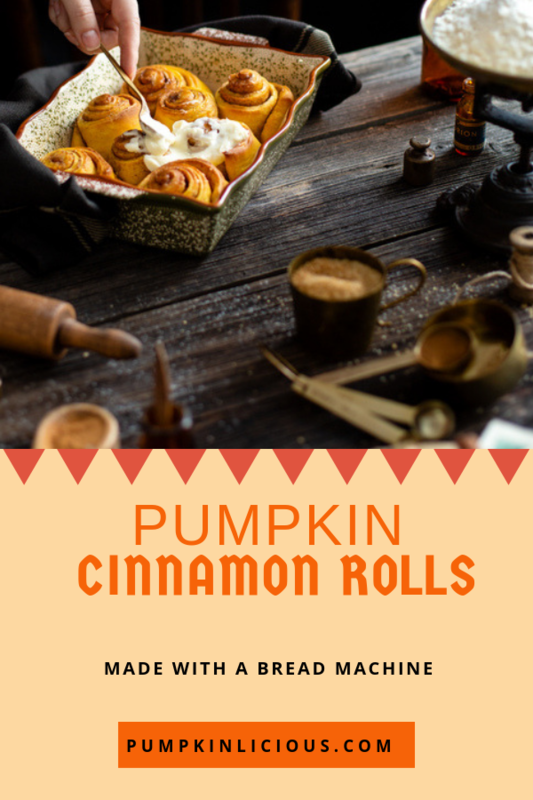 Making Pumpkin Cinnamon rolls with a bread machine is very easy, BUT you actually only make the dough with the machine. You need to do the rolling and add the cinnamon as a topping afterwards. Basically you are following the same process I used in bread machine pumpkin bread. After the cycle has completed, place the dough onto a chopping board with flour. Then work with the dough for a minute and leave to rest for a further 15-20 minutes. Spread the slightly heated melted butter over the dough (so that the filling will stick). Leave 2cms around the edge of the rectangle as over filling is not a good idea. Add the sugar, cinnamon, spice extract and seeds/nuts. Put the rolls in the oven and leave until they are golden brown around 30-35 minutes. Traditional Bread Machine Pumpkin Bread – Pumpkin bread with a hint of spice is an all time favorite. Cranberry Pumpkin Bread – if you love red berries and pumpkin then this is for you.